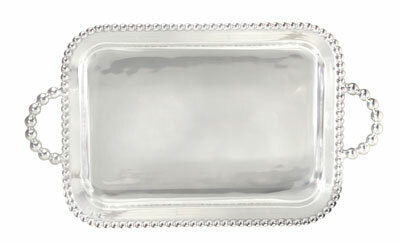 This service tray is perfect for entertaining as the elegant pearled handles make it easy to lift and carry. Part of Mariposa's String of Pearls collection. Designed by Michael Updike. Handmade in Mexico of recycled sandcast aluminum. Dimensions: 21" L x 12" W.